Layered koa body gives this Grand Auditorium a special kind of warmth and balance as well as good looks. Taylor's 200 Series 214ce delivers all the essentials of a great guitar - exquisite playability, a full and articulate voice, impeccable intonation up the neck, and Taylor's top-of-the-line, professional-grade pickup - at a price that's within reach of many. 2017 models feature layered Hawaiian Koa backs and sides and a crisp appointment scheme consisting of white binding and a glossy top with satin back and sides. All 200 Series guitars ship in a lightweight, sturdy rigid gig bag made by Taylor for optimal fit and protection. A guitar's top is the primary filter and distributor of vibrating string energy through the guitar, which means it has a huge impact on its sound. Sitka Spruce is the most prevalent guitar top wood of the modern era. It blends stiffness and elasticity in just the right proportions which translates into broad dynamic range with crisp articulation. Layered koa back and sides create a sturdy, yet receptive platform for the vibrating string energy sent by the guitar's top. Layered wood is less susceptible to changes in temperature and humidity, making it an excellent choice for players who travel with their instruments or simply require more durability. Taylor's ES2 is a revolutionary pickup design that delivers the latest in Taylor’s ongoing innovation in acoustic guitar amplification. The heart of the Expression System 2 is Taylor’s patented behind-the-saddle pickup, which features three uniquely positioned and individually calibrated pickup sensors. Because the pickup doesn't sit under the saddle, the bottom of the saddle comes in full contact with the bridge, allowing all the nuance of the guitar's tone to come through clearly whether playing acousticly or plugged-in. The location of the sensors enables a more dynamic range of acoustic sound to be captured than ever before while playing plugged-in. Together with Taylor’s custom- designed “professional audio”-grade preamp, this system produces exceptional amplified tone and responsiveness. On stage through a PA, plugged into your favorite acoustic amplifier, or direct into recording software, the Expression System 2 faithfully conveys the voice of your Taylor guitar. The Taylor Expression System 2 operates through a proprietary 9-volt battery compartment and easy-to-use volume, bass and treble controls. 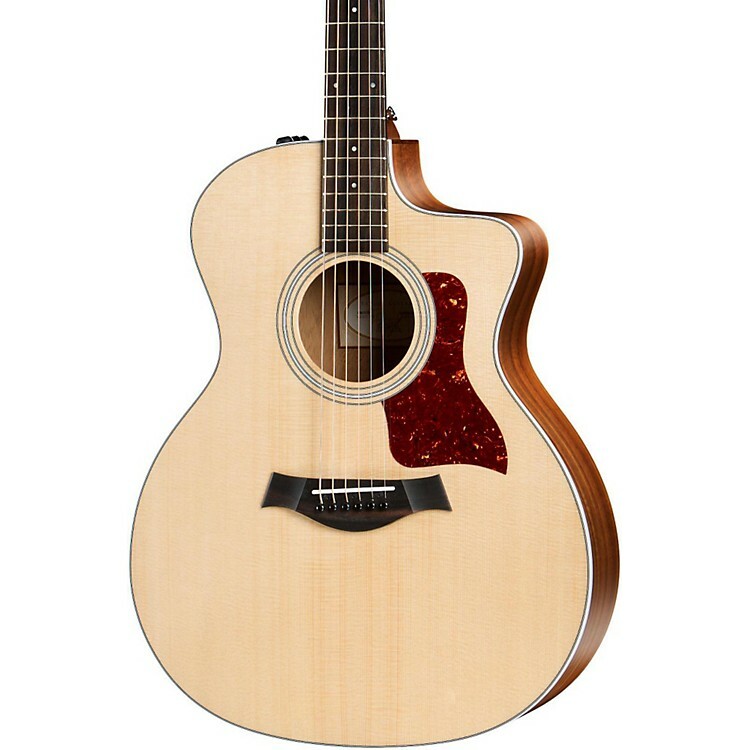 Order this special Taylor today!